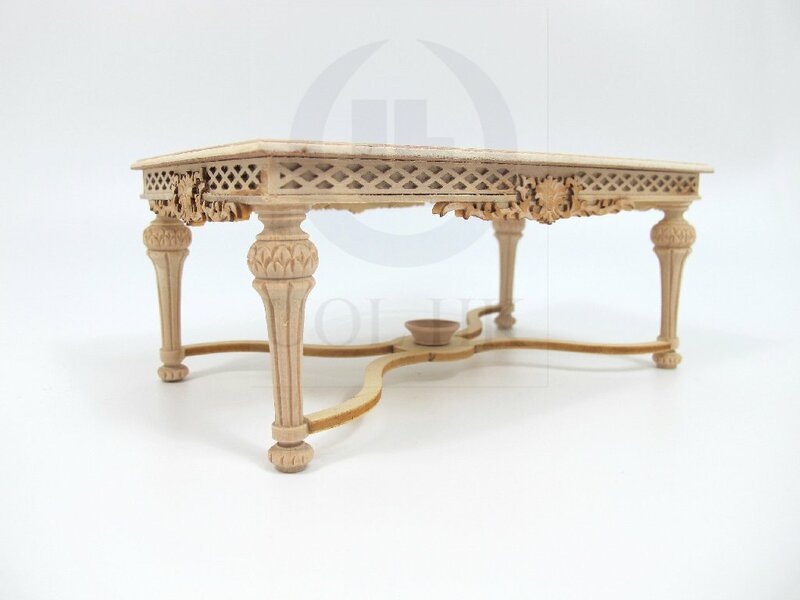 T​​his collector's item is a scale miniature NOT intended for use ​​by children un​​der 14 years of a​​g​​e. 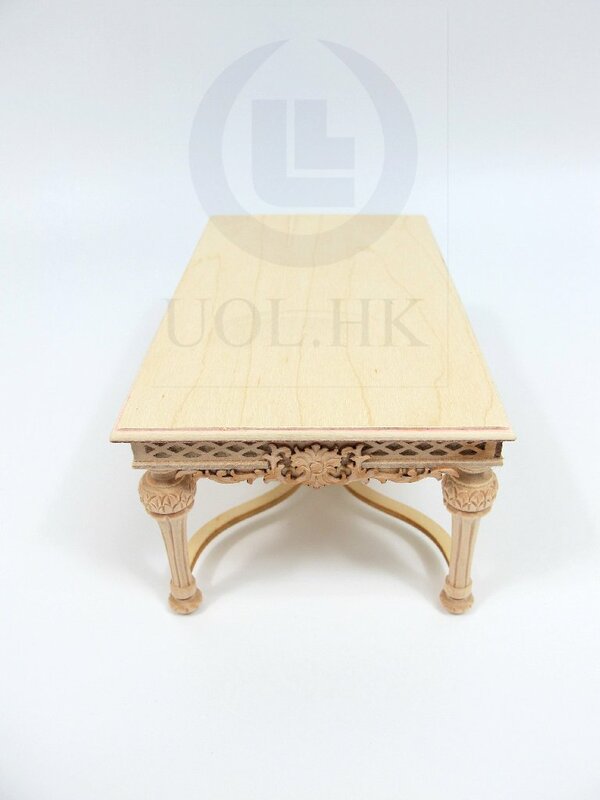 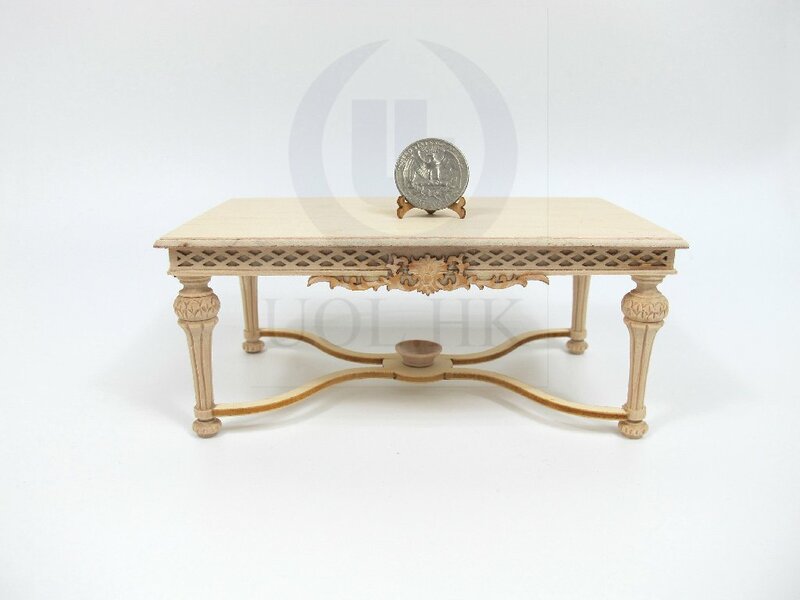 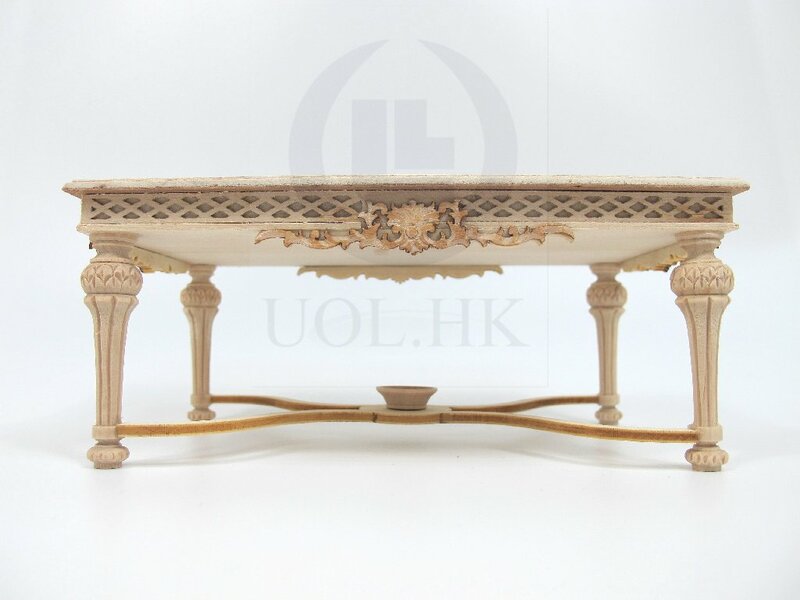 Made of wood, assembled but unpainted , excellent carved frieze with superb carved legs,and a bowl stand under table. 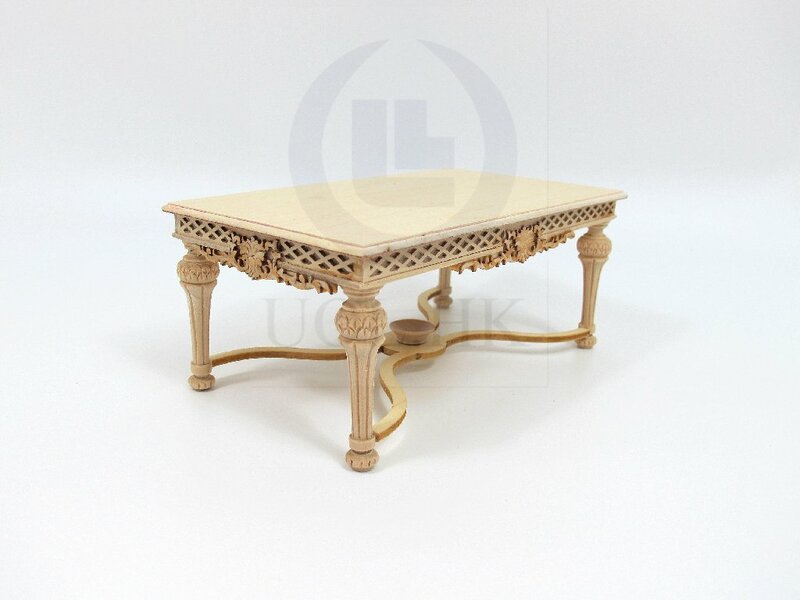 Would look great in a kitchen or dining room scenario.